West Dennis Properties' real estate office is located right in the heart of Cape Cod, in West Dennis, Massachusetts. 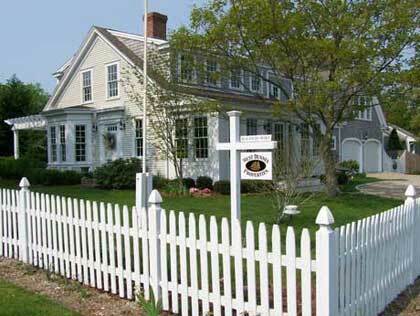 Perfectly situated to help you with all of your Cape Cod real estate needs. The town of Dennis MA is centrally located between the towns and villages of Brewster, Harwich, Orleans, Yarmouth and Hyannis, MA. We serve these and all the towns of Cape Cod. So, for all your Cape Cod real estate needs, please call our office at 508-394-1184. Or come visit our home office at 3 Loring Ave, West Dennis. We are located just east of the Bass River, at the corner of Loring Ave and Ferry St. (cross the Bass River into West Dennis, immediately turn right on Uncle Barneys Rd and the first left onto Ferry St, we are one block down on the right). Cape Cod has long been treasured as one of the most historic, richly cultural and unique destinations in the country. Start with the beaches, lighthouses, seafood and fresh salt air. Next imagine golf greens, biking, kayaking, wind surfing and boating. As evening sets in, explore the arts, take in a theater or enjoy an open air concert and marvel at the incredible sunsets. Enjoy Old Cape Cod with its natural beauty and the elegance of a simple life style and we are sure you will want to stay longer. For years, people have been choosing Cape Cod as a great place to live, work, invest, play and retire. Whether you want an oceanfront family home, a historic Sea Captain's Inn, a second home for the summer or that special retirement home, we will help you find the right property to match your Cape Cod real estate needs. We are a family run real estate company, locally established and dedicated to providing outstanding service to customers, while making sure we stay involved in the Cape Cod community. Honesty, integrity and fairness define our core values and we strive to develop long term relationships by working with our customers as partners. Our success will always be measured by the level of respect we earn from our customers and our fellow Realtors®.